March 29, 2019 – – Telus/Cambridge Electronics Incorporated, a store in Fort Saskatchewan, Alberta, Canada, has announced that TELUS is offering a $200 trade-in credit towards a Samsung S10e, S10, or S10+ when customers trade in a device with a minimum value of $1 after assessment. 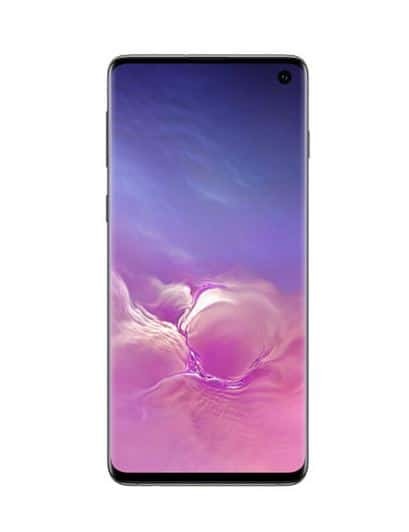 Those who activate or renew a Samsung Galaxy S10e, S10+ or S10 on a two-year consumer Your Choice rate plan or business Easy Share plan are eligible for a $200 trade-in credit plus the true residual value of the device. The limited time $200 trade-in credit offer is available from March 21 to April 30, 2019. It is also stackable with other code-based offers. Meanwhile, customers who are in the middle of their contract must pay their outstanding device balance before renewing. The TELUS Trade-in must be completed at the time of renewal or activation and entered into the HYLA portal at that time. There are various promotions available from the Telus Fort Saskatchewan store, aside from the $200 trade-in credit. For instance, customers who add Pik TV with the Crave + Movies + HBO pack, will get On Demand access to all seven seasons of the Game of Thrones. Also, Telus Home and Mobile Plans now offers a long-distance add-on for China. Cambridge Electronics Incorporated offers various accessories. Some of the featured accessories are the BeatsX wireless headphones; the JBL Link 10 Speaker, which provides immersive stereo sound with the power of Google Assistant; and Apple AirPods. Meanwhile, the Fort Saskatchewan store does not only offer the Samsung S10e, S10+ and S10. Also available are the Samsung Galaxy S9, Samsung Galaxy S9+, Samsung Galaxy Note9, Samsung Galaxy Watch LTE, Samsung Galaxy S8, Samsung Galaxy A8, Samsung Galaxy A5, Samsung Galaxy Xcover 4, and the Samsung Galaxy J3. With regards to Google smartphones, the Fort Saskatchewan store offers the Google Pixel 3, Google Pixel 3 XL, and the Google Pixel 2 XL. For the Huawei brand, they have the Huawei P30 Pro, Huawei P30, Huawei Mate 20 Pro Huawei P20, and the Huawei P20 Pro. For LG, they have the LG G6, LG Stylo 3 Plus, LG X Power 3, and LG Q Stylo+. For BlackBerry, they have the BlackBerry KEY2 and the BlackBerry KEY2 LE. Cambridge Electronics Incorporated is an authorized Telus dealer in Fort Saskatchewan, Alberta, Canada. They offer a wide range of mobile devices like iPhones and other smartphones, including different kinds of accessories. The service areas of the store include Fort Saskatchewan, Edmonton, Sturgeon County, Strathcona County, Sherwood Park, Gibbons, Redwater, Bruderheim, Smoky Lake, Lamont, and surrounding areas. The Fort Saskatchewan store has available not just smartphones and mobile devices. Also available are Telus TV hardware and services, products and services for businesses, tablets, Internet services, different kinds of accessories, and exclusive services. People who require more information about the services and products at the Fort Saskatchewan store and available promos like the trade-in credit on Samsung Galaxy S10e, S10+ and S10, may want want to visit their website or visit the store. They are open for business on Mondays to Fridays, from 9:00 am to 8:00 pm. On Saturdays, they are open from 9:30 am to 6:00 pm. And on Sundays, they are open from 11:00 am to 5:00 pm.